Around 100 people from more than 10 nations gathered on December 23 to celebrate Christmas and hear about Christ’s miraculous work in the lives of Dr. Elie Hasbani and Pastor Hesham Shehab. Elie and Hesham were sworn enemies in the Lebanese Civil war that devastated that country in the 1970s and 1980s. While Elie was a soldier in a Christian militia, Hesham was a sniper in the military wing of the Muslim Brotherhood. 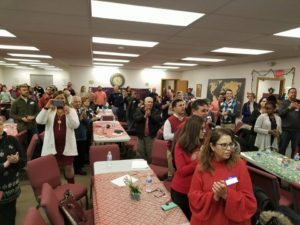 God called both men to faith in Jesus Christ and they became His ambassadors to the nations, spreading Jesus message of forgiveness and peace and planting churches. Hicham [pronounced HESHAAM] grew up in a world of bitter animosity between Muslims and Christians, which he experienced personally in a physical attack when only about 7. By age 13 he was recruited by an extremist Muslim group and later fought against Christians in the 1975 war in Lebanon. He was preparing to become a Muslim Preacher (Imam) when a car accident laid him up for a year. In 1980, in his first semester in college, his brother was killed by Christian militia. Hicham's response was to study by day, and by night take out his revenge in attacks on Christians. However, hearing the Sermon on the Mount, in a course of cultural studies (in college), brought him to faith. Later, Hicham earned an M.A. in the history of the Arabs and did Ph.D studies in the history of Islam. 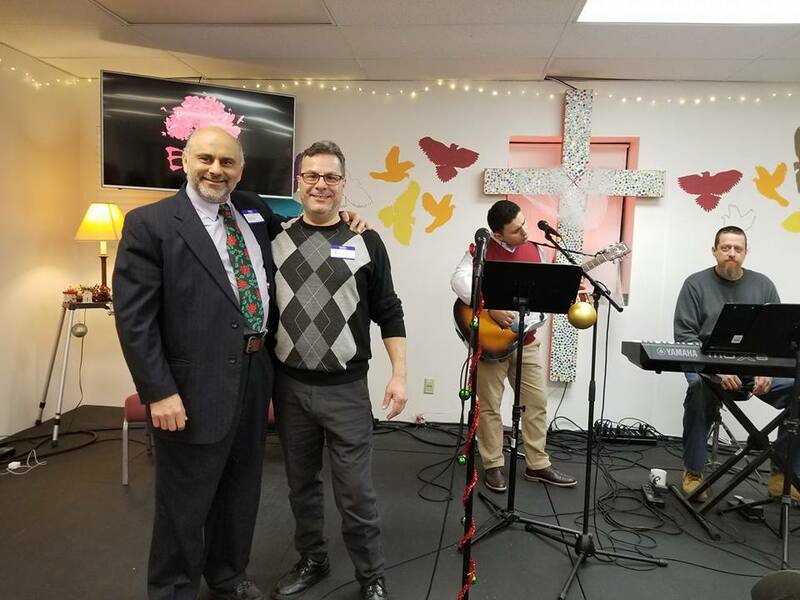 Hicham finished his pastoral education at Concordia, Fort Wayne, IN, and is currently in the Ph. D program there. 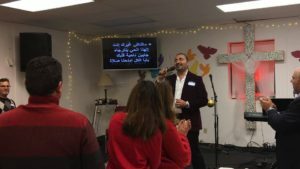 Presently, Hicham, and ordained LCMS minister, pastors Salam Christian Fellowship and works as a missionary to the Muslims with the Lutheran Church in Illinois.